Do you long for all of the benefits of a cruise holiday, but you can't quite sell the idea to your children? How about combining your cruise holiday with a stay at Universal Orlando® Resort...now you can combine the two into one action packed family holiday. Royal Caribbean and Universal Orlando® Resort have come together to offer you the best family holiday. Presenting the ultimate Florida vacation, there has never been a better time to escape on a once in a lifetime break. Royal Caribbean are well known for their innovative and family-friendly ships that boast some of the best amenities at sea. Oasis of the Seas will sail from Orlando, giving you the option to combine a cruise with a stay at Universal Orlando® Resort, either pre or post cruise as part of a Florida cruise and stay holiday. With two amazing theme parks, exceptional shopping, unforgettable entertainment, and world-class on-site hotels, Universal Orlando® Resort is an entire universe of action and thrills for every member of the family. The two theme parks are Universal’s Islands of Adventure® and Univesal Studios Florida ® and - both guarantee a holiday of a lifetime and will create ever lasting memories for the whole family. Universal’s Islands of Adventure® boasts some of the world’s most thrilling rides, best shows and interactive attractions that bring your favourite stories to life. Prepare to join Harry Potter™ and his friends as you step into The Wizarding World of Harry Potter™. Explore the mysteries of Hogwarts™ castle. Visit the shops of Hogsmeade™ and sample fare from the wizarding world's best-known establishments. Experience Jurassic Park® in a land where dinosaurs come to life including an exciting river raft ride through dinosaur habitats. Marvel Super Hero® Island will take you into a land of interactive adventures where you will take on quests with your favourite super heroes. Toon Lagoon® lets you splash through water rides with your favourite cartoon characters and comic strips. 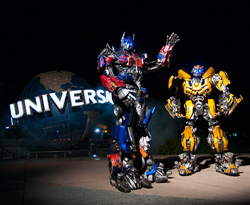 At Universal Orlando Resort®, your days will be packed of fun adventures and thrilling explorations. The American city themed areas including Hollywood, New York and San Francisco, boast an abundance of rides, shows and attractions that will blow you away. Transformers: The Ride 3D® will launch and take you on the greatest battle of your life! High-definition 3D screens will simulate to redefine a thrilling ride. Plus, join Gru and his minions on an adventure in Despicable Me Minion Mayhem and take a look at Springfield with Simpson Ride. 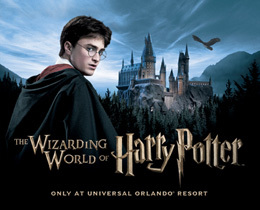 During your stay at Universal Orlando Resort ® you have the choice to stay in an on-site hotel or an off-site hotel*. Stay in a hotel on-site and you will enjoy FREE Early Park Admission to Universal Orlando theme park one hour prior to park opening! Plus, you can ride on park shuttle buses all included in the cost. 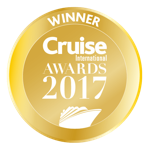 You can book a pre or post cruise stay at Universal Orlando® Resort on Oasis of the Seas Caribbean cruises that depart from Port Canaveral. The port is a short distance from the park and transfers will be included in your package. Oasis of the Seas is one of the most innovative ships in the world and takes family holidays to a whole new level. The 7 unique neighbourhoods will keep the whole family occupied for weeks with shops, attractions and amusements aplenty. There is also a whole neighbourhood named Kids Avenue dedicated exclusively for children. Not forgetting the teens, they also have private hangout areas. With 2 Flowrider surf simulators, a zip line, an ice rink and a rock climbing wall, these are just few of the fantastic amenities the whole family will enjoy. There is also no shortage of entertainment, the high diving Aquatheatre plays host to epic one of a kind performances and is truely not to be missed. Love the idea of a sun-drenched break but Universal Studios is not quite for you? Take a look at all of our 2017 Caribbean Cruise and Stay packages. 2 Nt Barcelona Hotel Stay Included! 2 Nt Rome Hotel Stay Included! 4 or 7 night cruise specified at time of booking, from itineraries shown Inclusive of taxes/fees but exclusive of service charges/gratuities. Fly/cruise packages inclusive of return flights from London/Florida as specified at time of booking Transfers airport/hotel/port/Universal Orlando® hotel/theme parks as chosen and confirmed at time of booking. 2/3/4-Nights at Universal Orlando® Resort including on-site hotel accommodations and Park-to-Park admission to Universal Studios Florida® and Universal’s Islands of Adventure® during your stay. When staying at one of Universal Orlando® on-site hotel you can enjoy exclusive theme park benefits you won’t get by staying anywhere else including Early Park Admission† one hour before theme park opens(valid theme park admission required). Stay at select hotels and you can enjoy Universal ExpressSMUnlimited—jump the regular queues all day long at participating rides and attractions throughout both Universal Orlando® theme parks. 3, 4 or 7 night hotel stay, pre or post cruise (as selected and subject to availability) at one of three Universal Orlando® on-site hotels. Benefit not valid for guests staying at Universal’s Cabana Bay Beach Resort and Loews Sapphire Falls Resort; available for purchase only. Not valid on select attractions. Only valid for the number of guests staying in the room for the length of hotel stay as indicated on the Universal Express Unlimited pass. Available during normal theme park operating hours only. Not valid for separately ticketed special events. 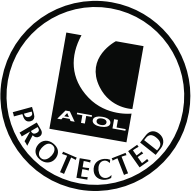 Additional restrictions may apply and benefits are subject to change without notice. Early Park Admission begins one (1) hour prior to regular scheduled park opening to one (1) Universal Orlando theme park as determined by Universal Orlando. Valid at select attractions at each park. Paid theme park admission is required for all hotel bookings staying outside of the resorts. Universal Orlando Resort reserves the right to open alternative attractions in the event that a technical problem arises or an attraction opening is delayed. Additional restrictions may apply. Hard Rock Hotel ® Hard Rock Cafe International (USA), Inc. Loews Royal Pacific Resort logos © 2017 UCF Hotel Venture. All rights reserved. Cabana Bay Beach Resort © 2017 UCF Hotel Venture II. All rights reserved All rights reserved. Universal elements and all related indicia TM & © 2017 Universal Studios. All rights reserved.